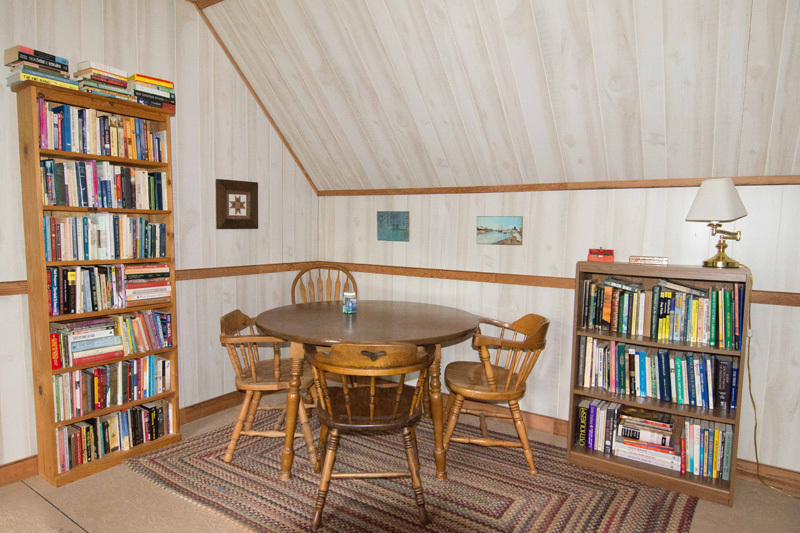 We offer individual, group lodging and group meeting spaces. 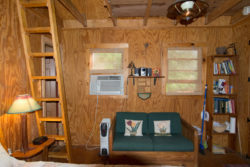 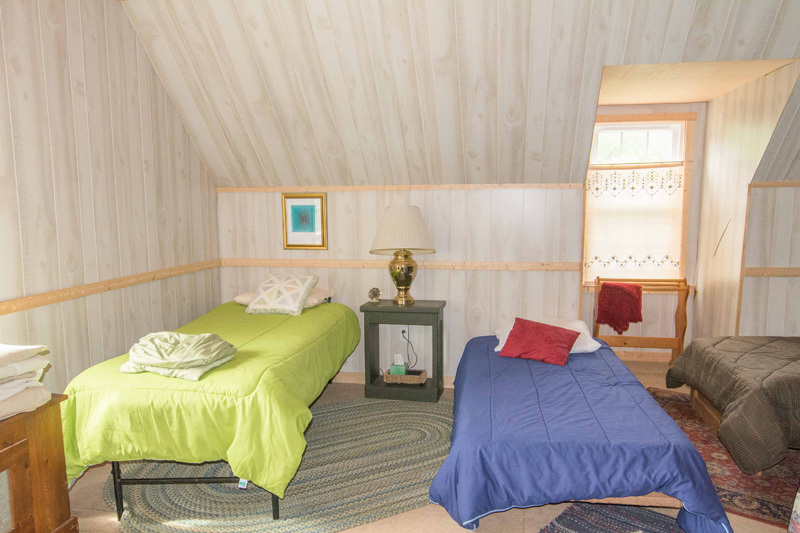 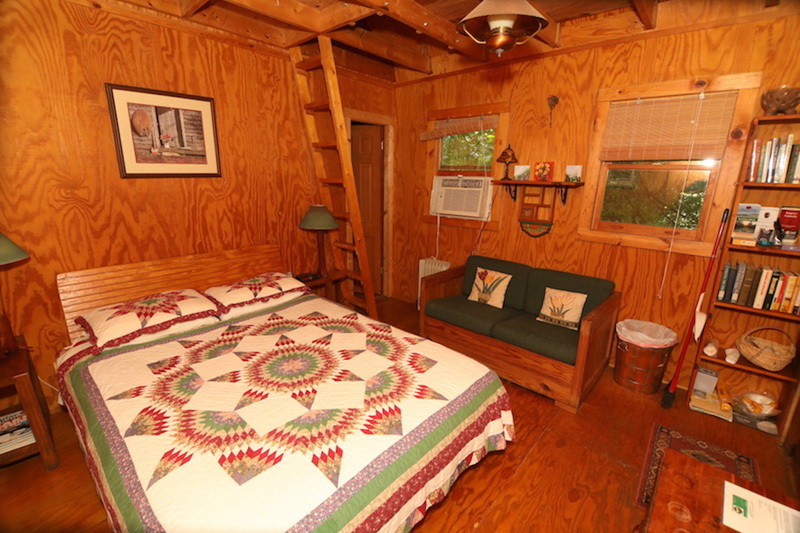 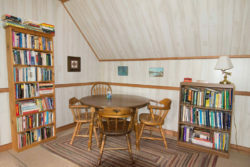 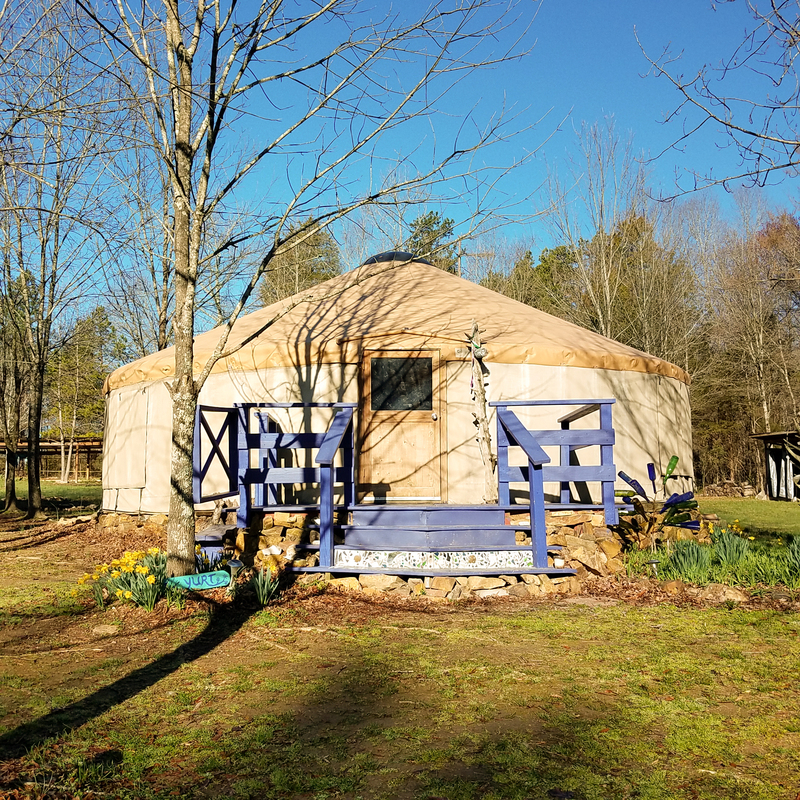 When you choose North Carolina cabin rentals at the Sacred Grove Retreat Center for a day, a weekend, or a week, you have use of the labyrinth, the bonfire circle, the vortex, the butterfly garden, hiking trails, and all common areas. 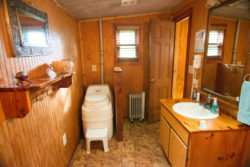 All facilities are pet friendly. 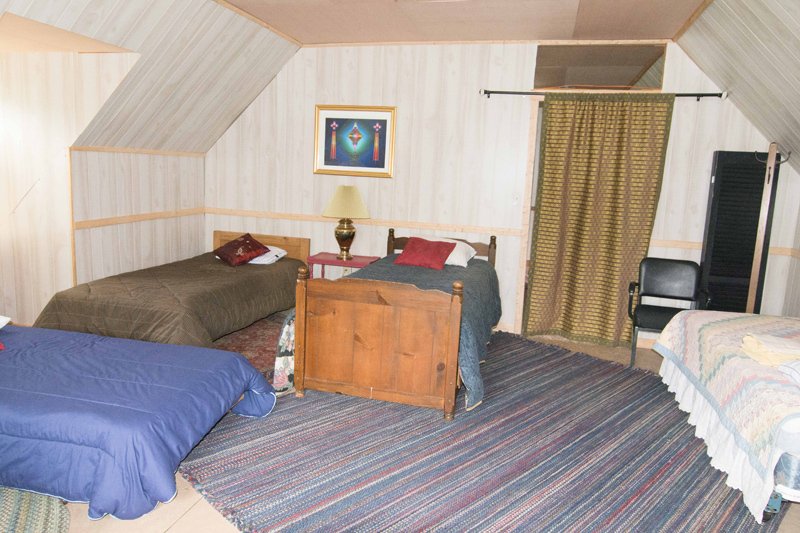 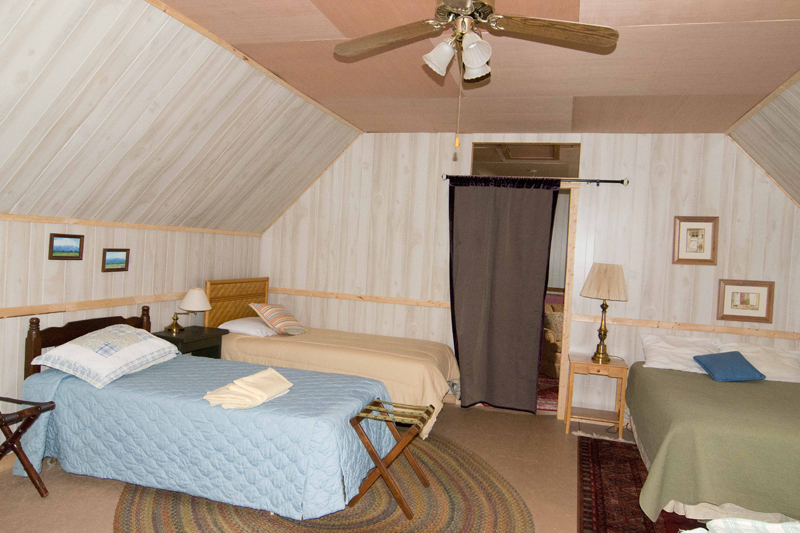 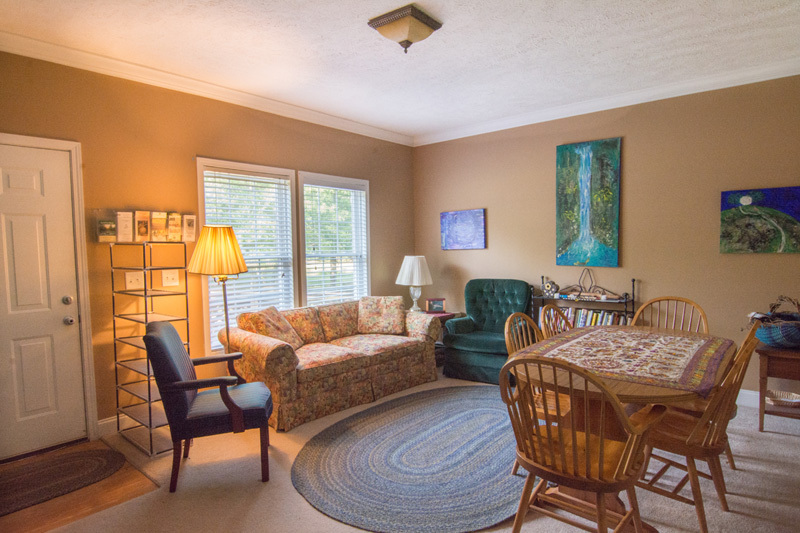 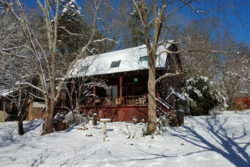 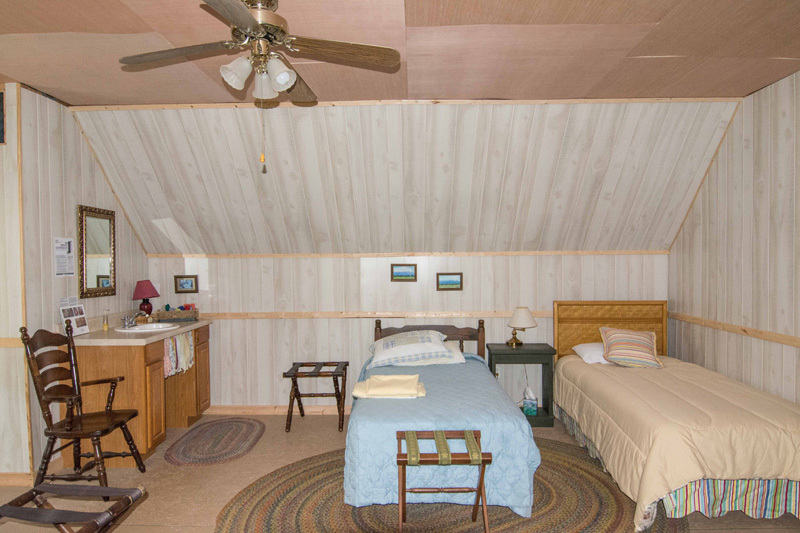 Situated adjacent to the labyrinth and vortex, The Grove House provides guests of Sacred Grove Retreat Center convenient and comfortable lodges in North Carolina. 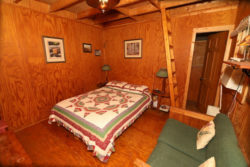 Sleeping a total of 18 people, The Grove House will be the home base for your time here at Sacred Grove Retreat Center. The first floor consists of three bedrooms and two full baths, along with a spacious, open kitchen and dining area with two large dining tables seating up to 12 people. 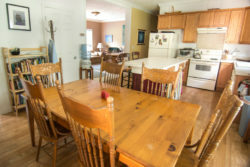 The kitchen and dining area flow into the comfortable living room, giving guests plenty of room to spend time together. 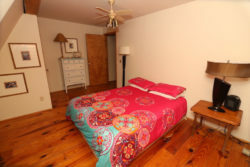 With views of the labyrinth, the ceremonial dance arbor, and the vortex, the second floor of The Grove House also includes a library and sitting area in addition to two dorm-style bedrooms (one with five twin beds and the other with four twin beds and one full-sized bed). Each of the two bedrooms has its own half-bath. 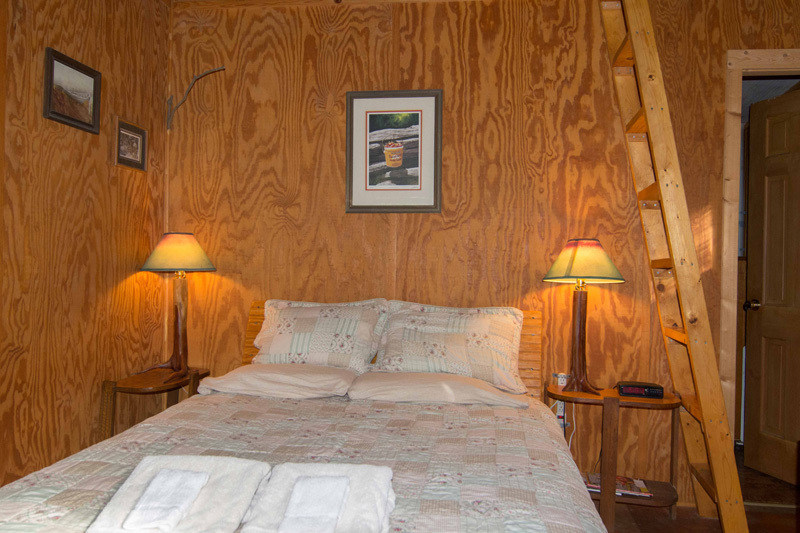 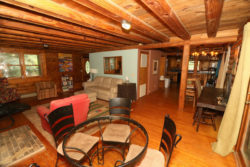 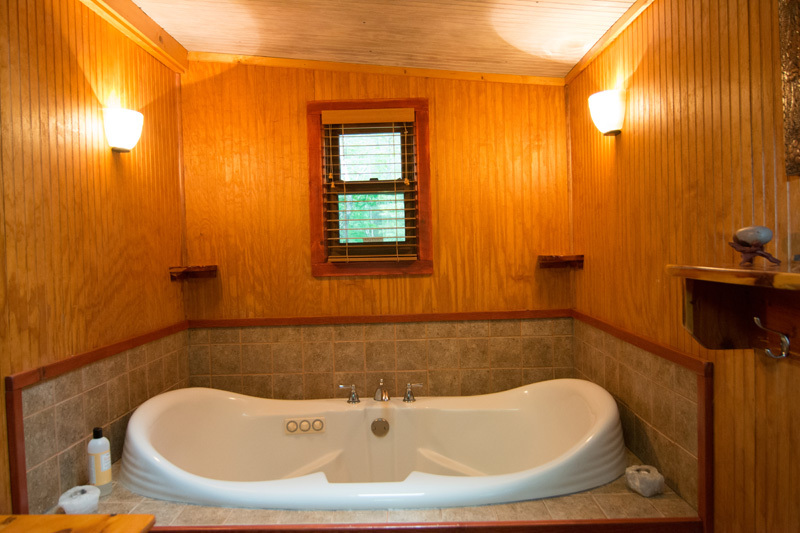 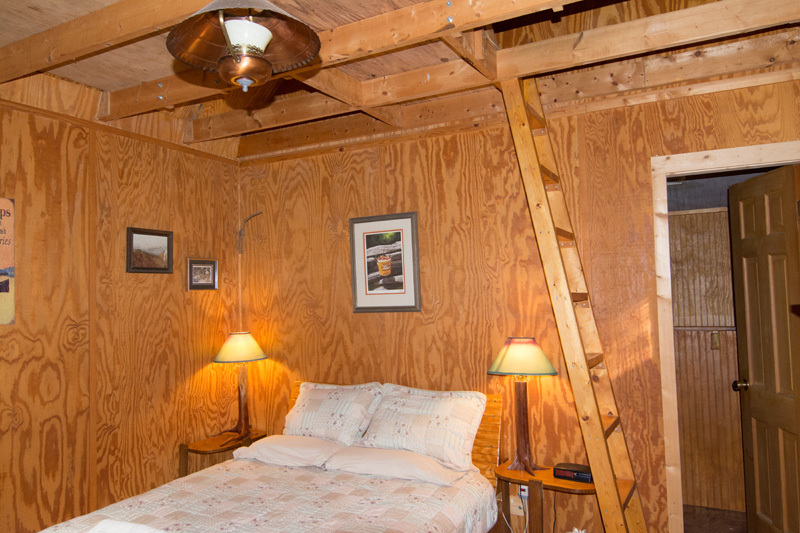 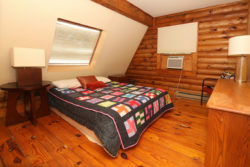 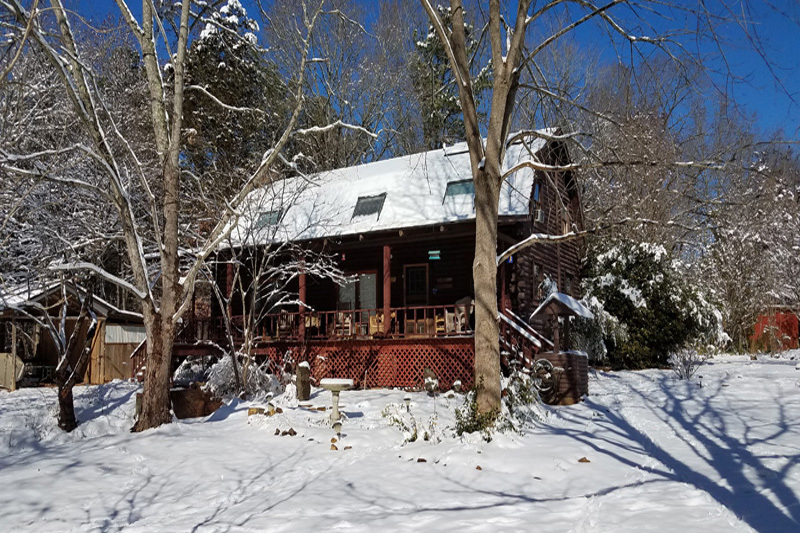 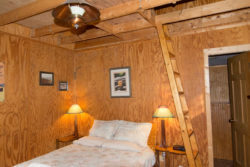 The Log House is one of the beautiful hand built North Carolina log cabin rentals with three bedrooms and two baths. 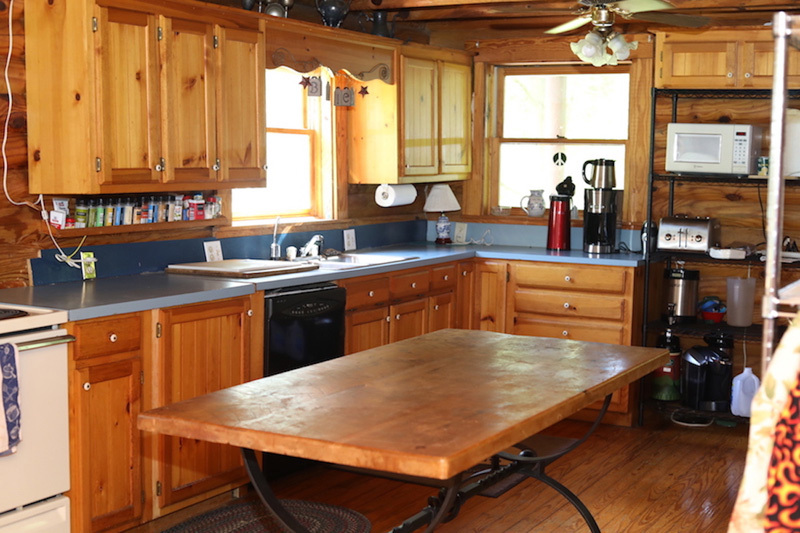 It has a full-sized, well-stocked kitchen and a large, comfortable living room. 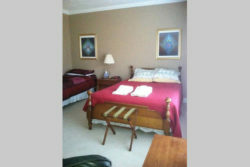 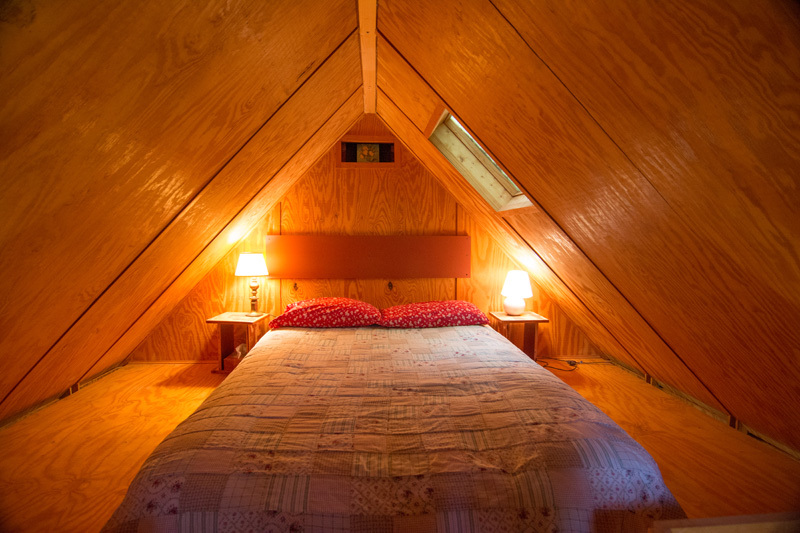 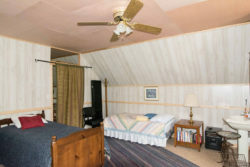 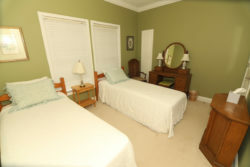 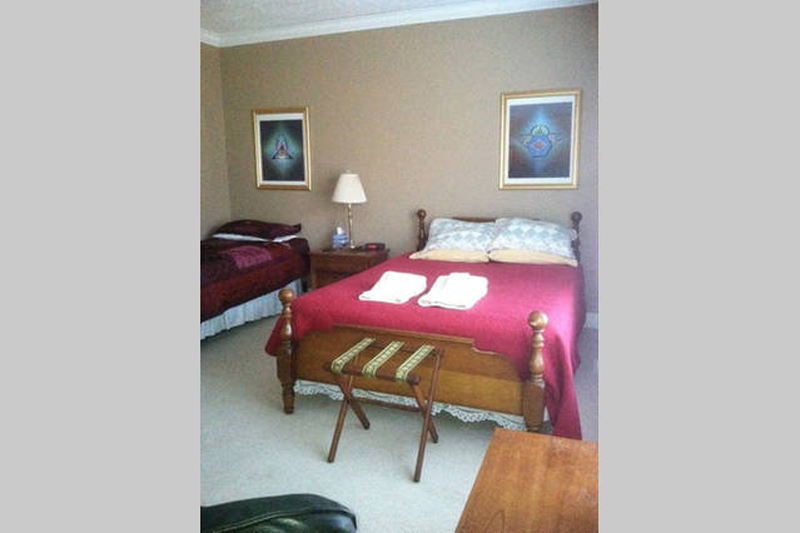 Two of the bedrooms have queen beds and the third bedroom has four twin beds. 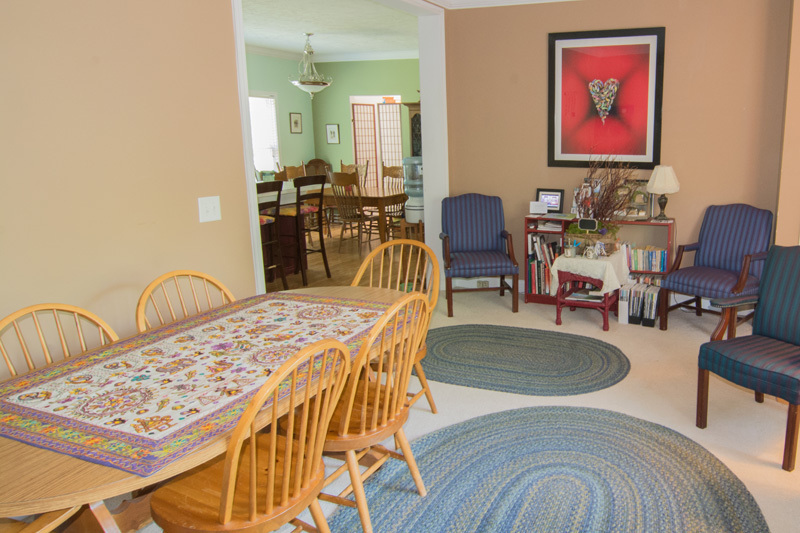 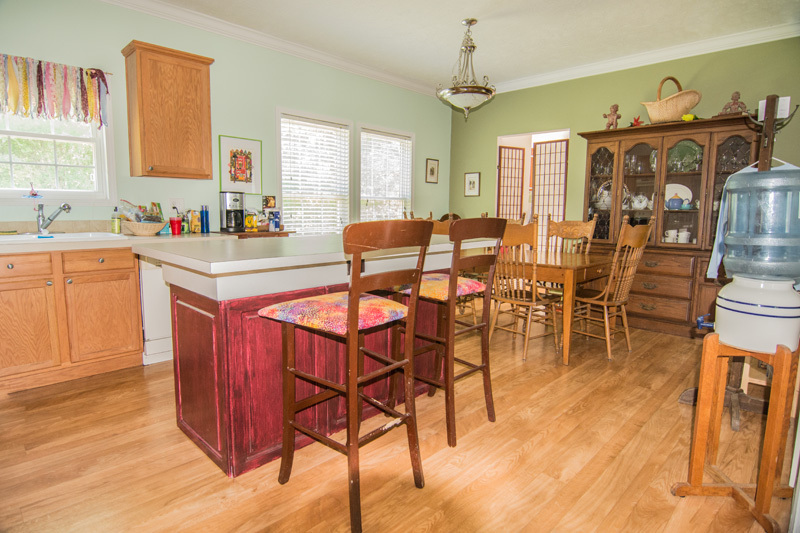 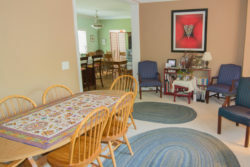 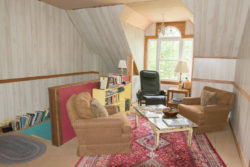 This home is great for families or small retreat gatherings. 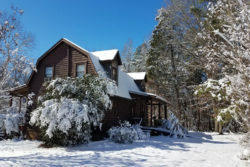 It has a spacious back porch with rocking chairs and a swing where most guests spend a lot of time enjoying the silence of the retreat center. This rustic private cabin is ideal for an individual seeking a personal retreat or a couple looking for a romantic getaway. It is also a great place for retreat facilitators to stay who are looking for privacy. 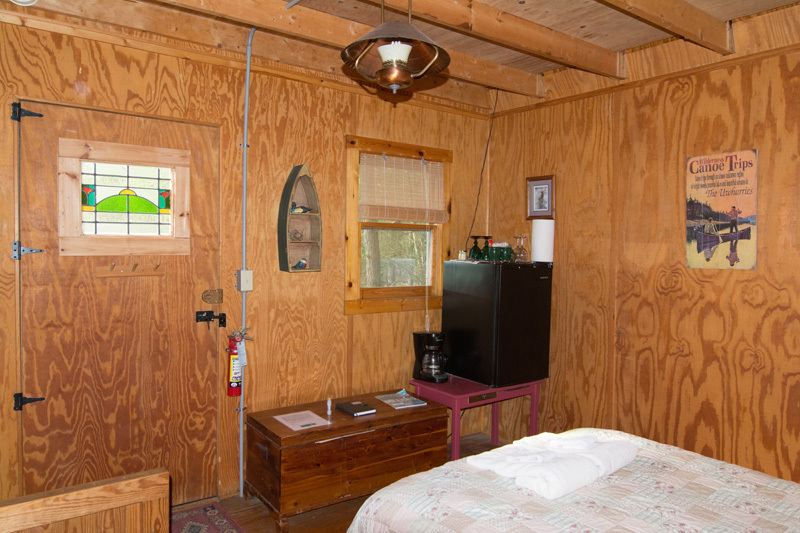 The Thoreau Cabin includes a queen bed, a sleeping loft with a double sized futon, coffee maker with fresh ground coffee, a small refrigerator, a deluxe Jacuzzi tub, and a compostable toilet. 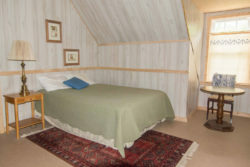 The Thoreau Cabin is a retreat within the retreat. This enchanted facility invites you to step into an earthly room of quiet introspection and heavenly personal elevation. This magical, circular cocoon includes a futon couch and access to outdoor showers and composting toilets. 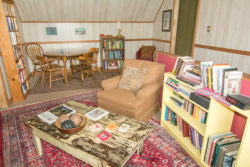 The Baby Yurt is available for rent from March through November. 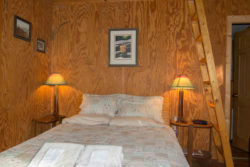 VIEW THE current rate sheet and details on lodging and meeting facilities. 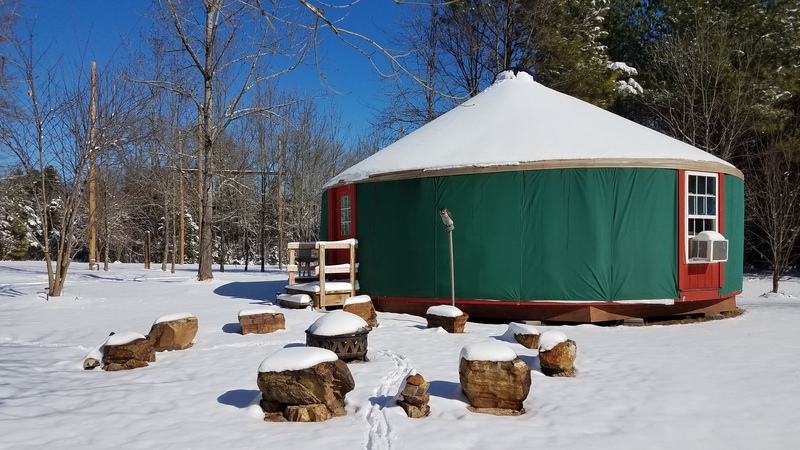 Sacred Grove Retreat Center’s celebrations, concerts, and workshops are held in either the Grandmother Yurt or the Empowerment Yurt. 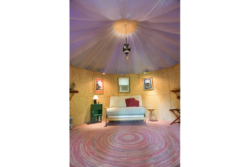 These are 30-foot circular structures, representing a modern adaptation of the ancient shelter used for centuries by Central Asian nomads. They inspire unity and cohesiveness for participants, as well as creative inspiration. 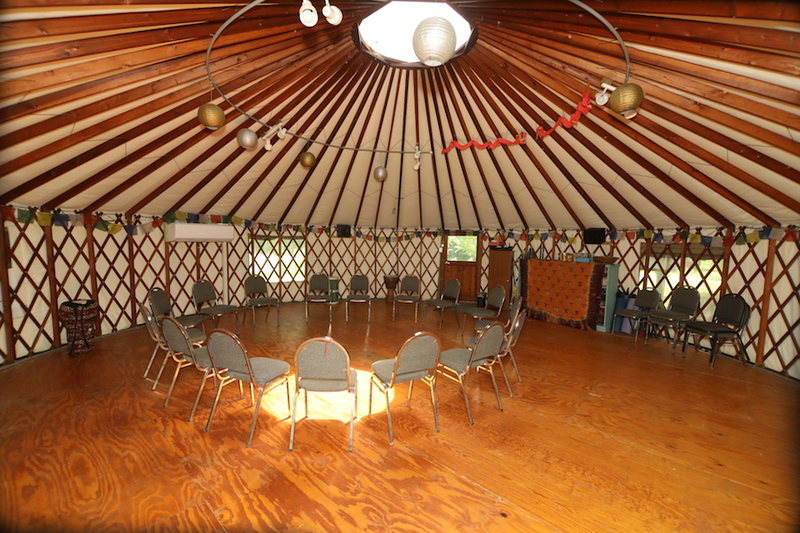 Ideal for corporate events, workshops, weddings, and retreats, each of these yurts is heated and air conditioned. 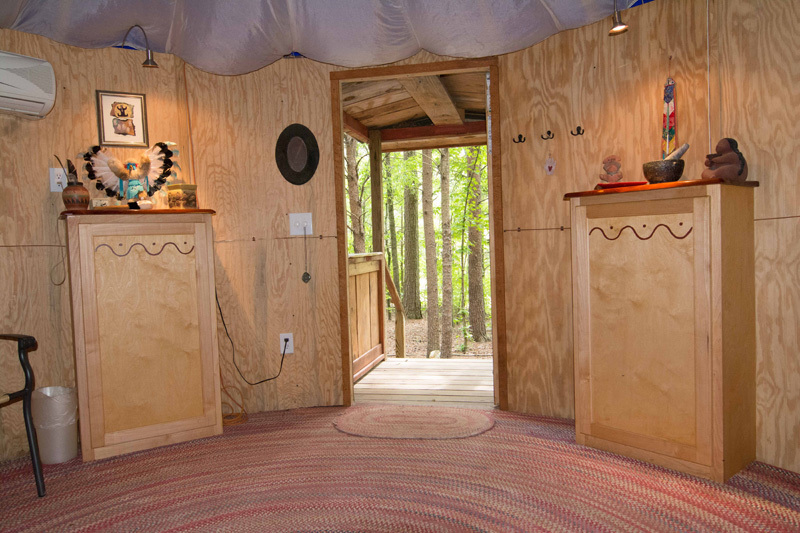 They offer wonderful acoustics. 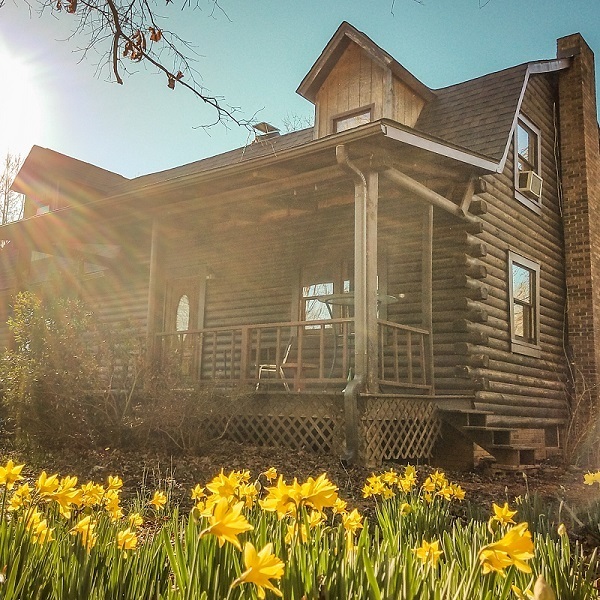 Sacred Grove Retreat Center hosts events throughout the year and also offers their facilities for you to host your own event. 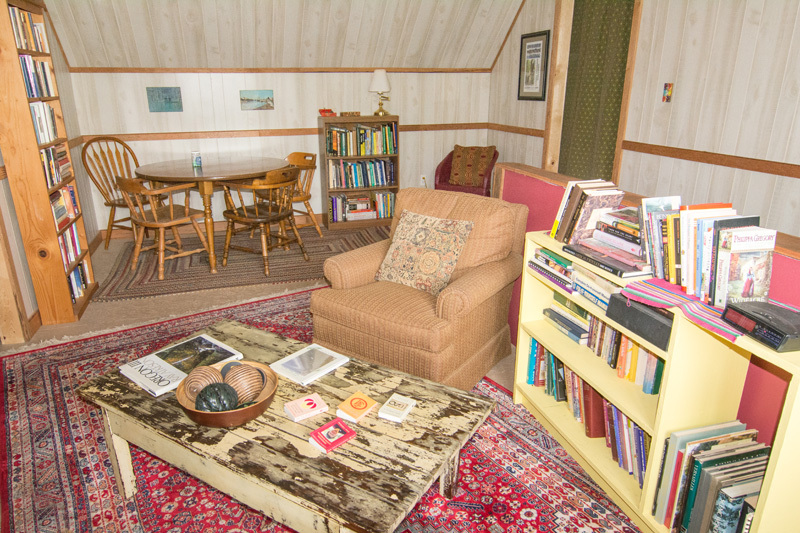 The Grandmother Yurt or Empowerment Yurt can be rented Monday-Thursday or as an add on for your weekend retreat. 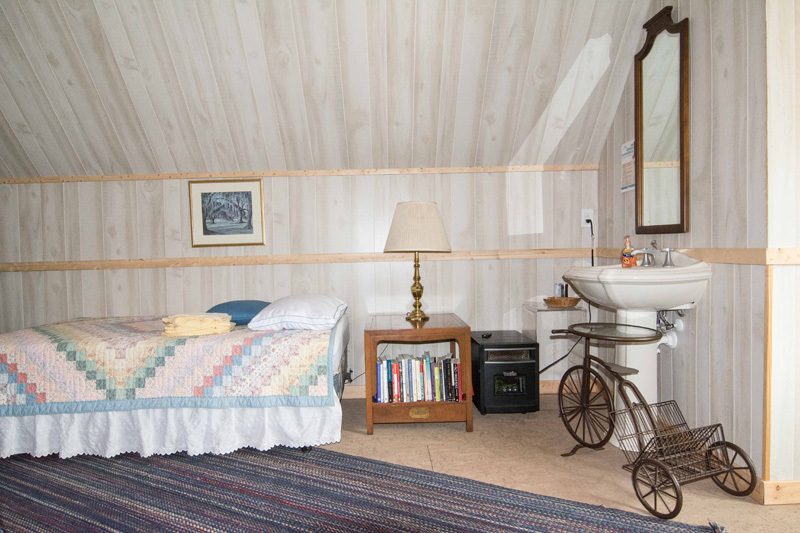 Our Weekday North Carolina accommodation include use of a kitchen and bathroom facilities. Six-foot tables and chairs are provided, and catering can be provided on request. 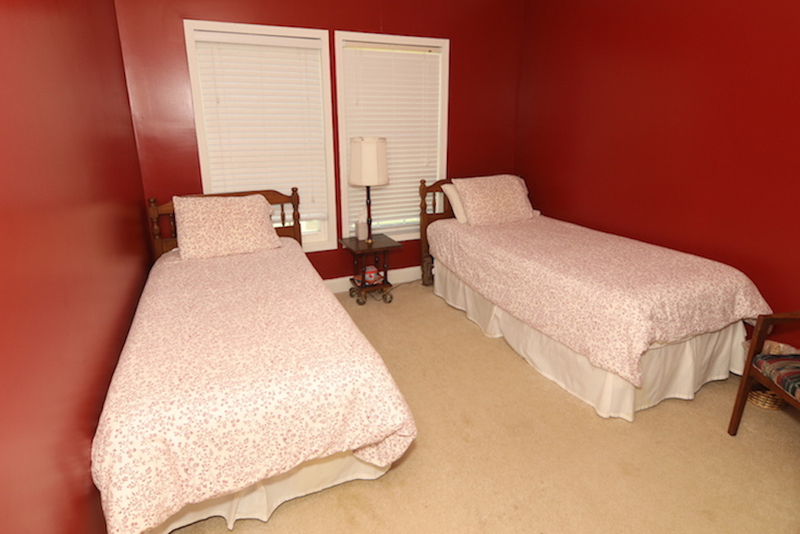 For help in planning your best experience, contact us today. 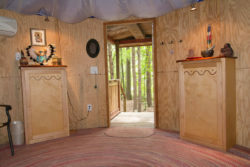 A vortex is created by spiraling spiritual energy and creates a space to facilitate prayer, meditation and healing. 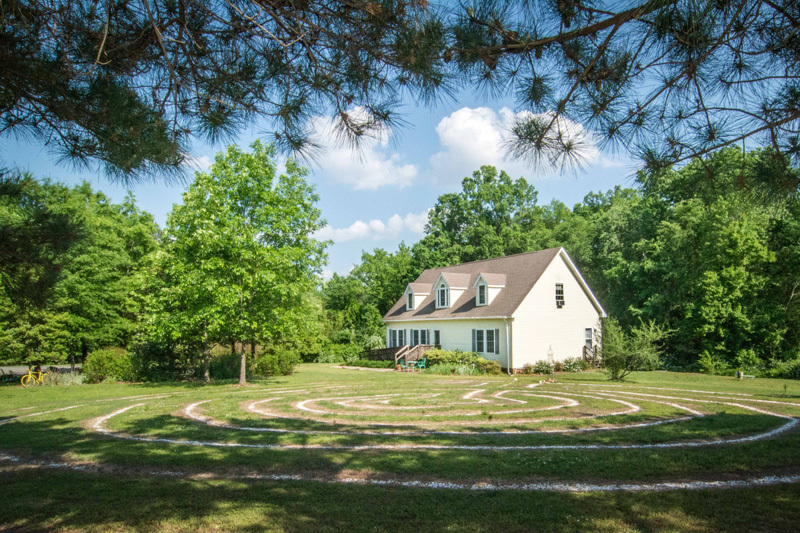 The vortex on site is encircled by a grove of pin oak trees from which the retreat center gets its name. The energy you feel when standing there is palpable to many. 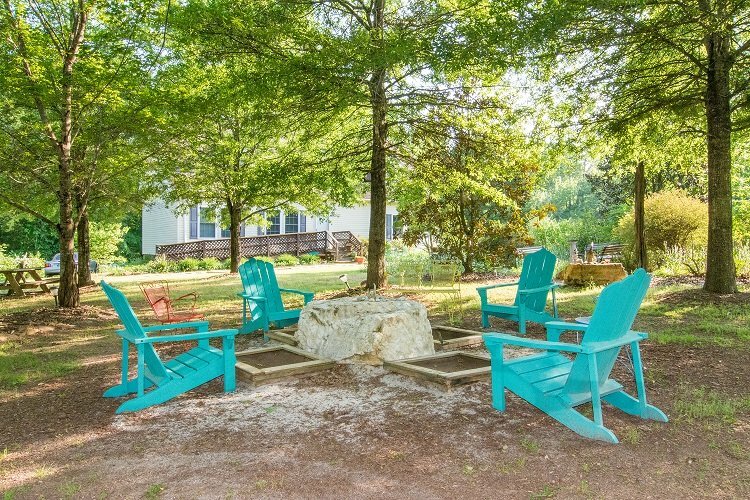 This is a popular gathering spot as it has four Adirondack chairs to relax in. 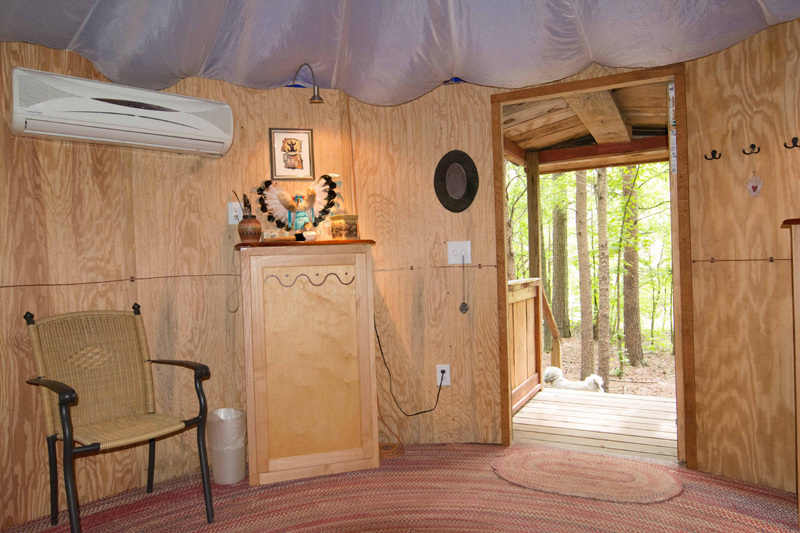 In front of each chair is an individual sand box, called a grounding port, where you can bury your feet and ground to the earth. 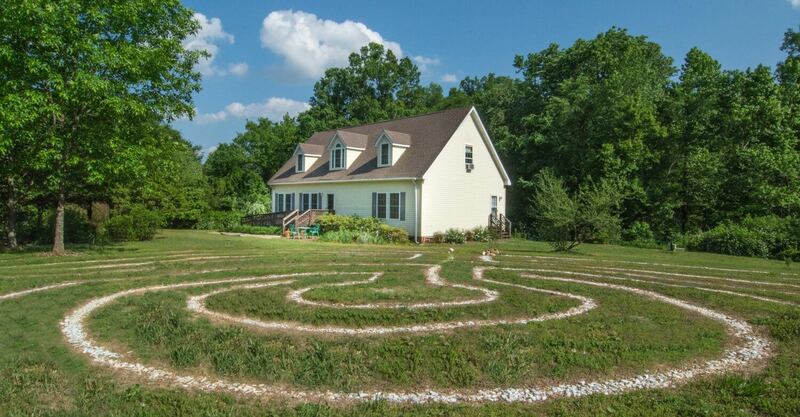 Labyrinths can be found etched into the floors of many old cathedrals in Europe. 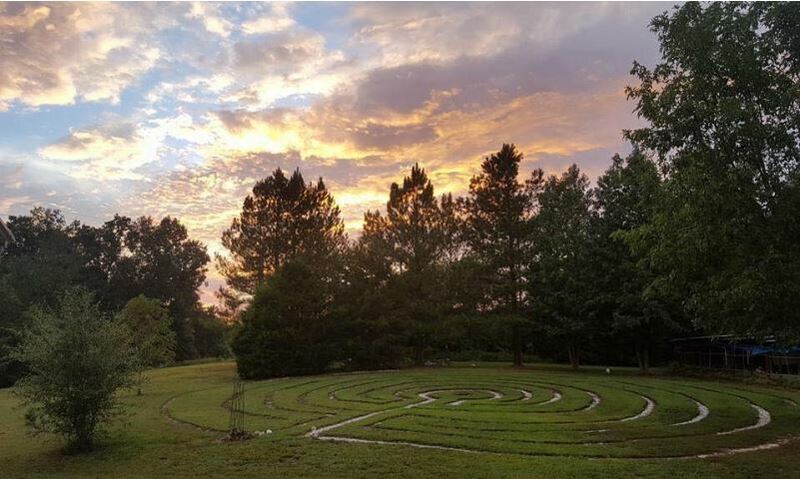 Our seven-circuit outdoor labyrinth is lined with white stones and can be used for a walking meditation; centering; quieting the mind; prayer; healing; problem-solving; and connecting with Spirit. 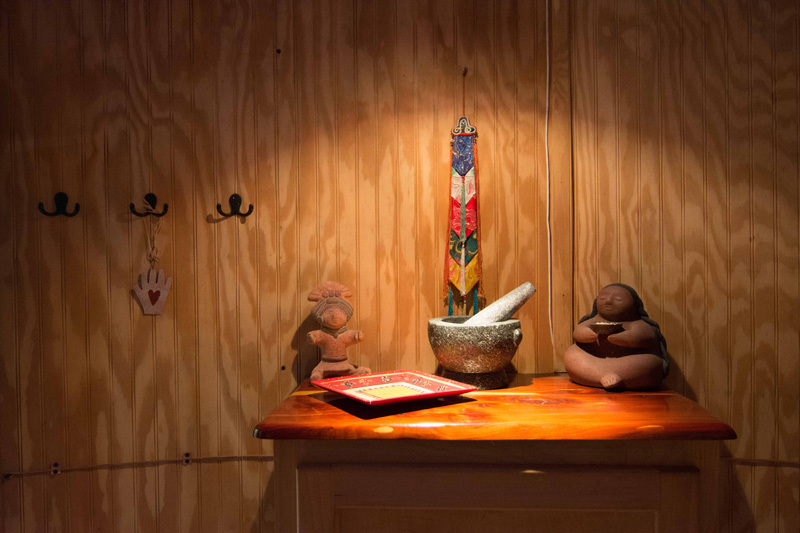 It is a great tool to use for letting go of things that no longer serve you. With gently rolling paths on-site, you can enjoy an early morning or late afternoon stroll around Sacred Grove Retreat Center’s 11 scenic acres. 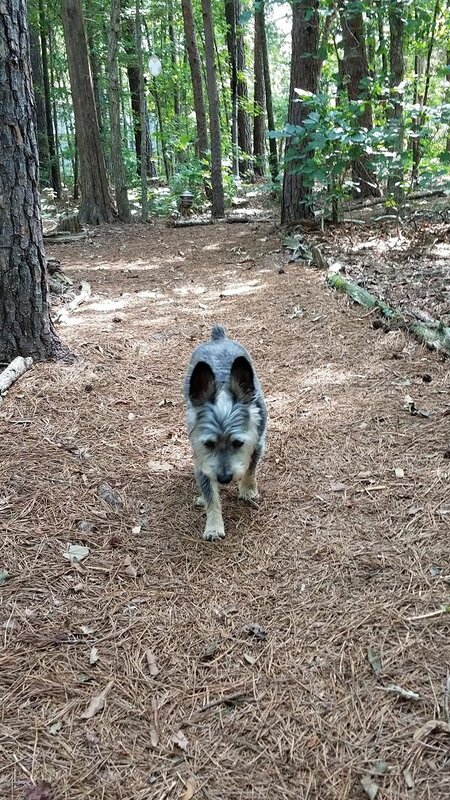 As you walk the trails, you are escorted each step of the way by a deeply felt sense of peace and serenity. 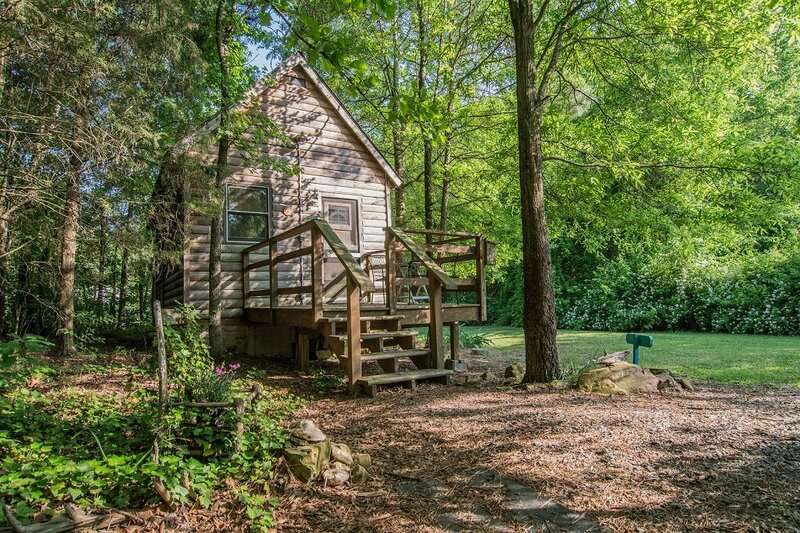 Let nature itself guide you along the way and you will always find your way back home. 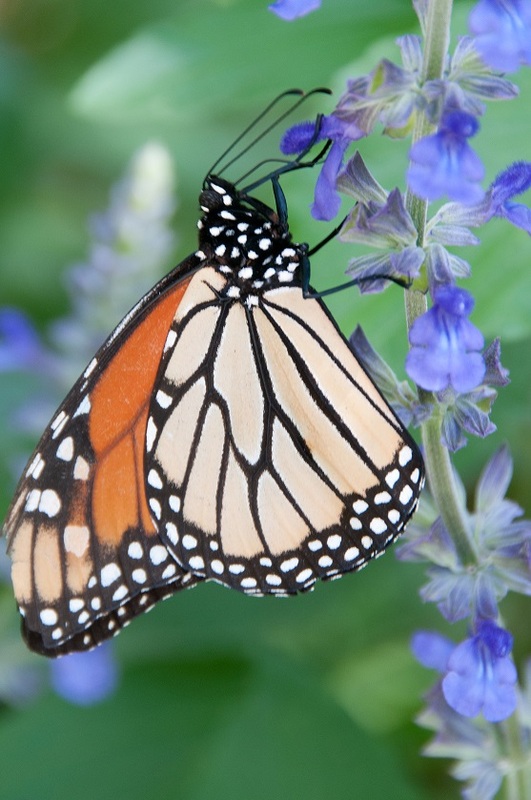 The Butterfly Garden was planted in a figure 8 (or infinity sign) and includes miniature Magnolias, Gardenias, Butterfly bushes, and more. 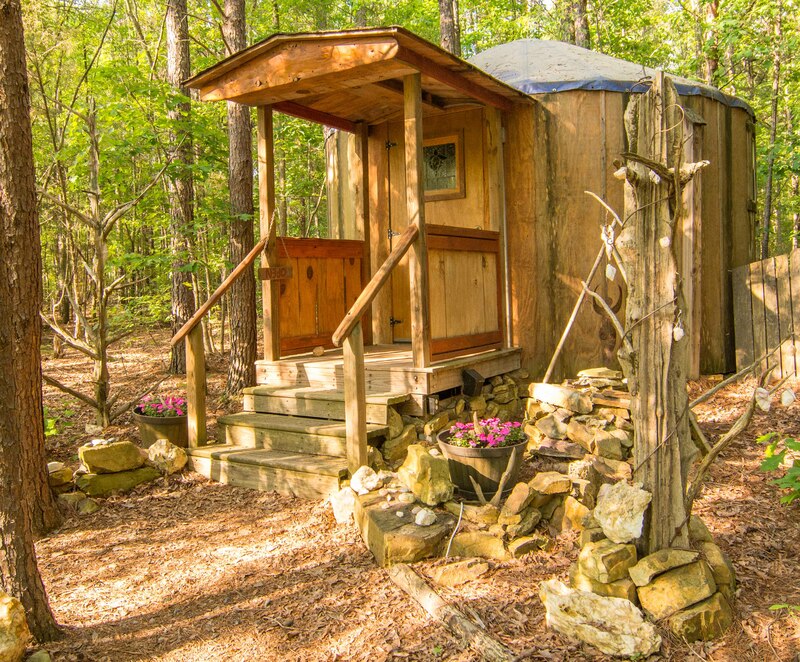 Located adjacent to the vortex, this is a beautiful spot for quiet reflection at the end of a beautiful day or just to relax. 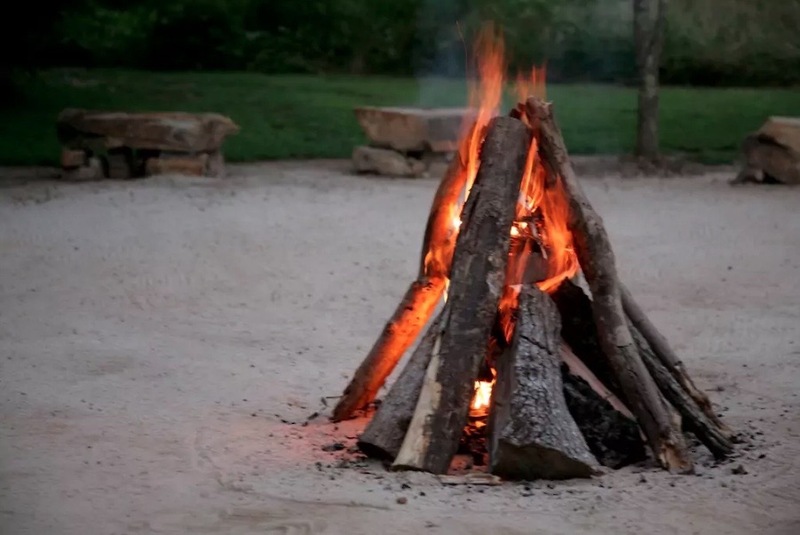 The dazzling beauty of the bonfires is truly a highlight at the retreat center. 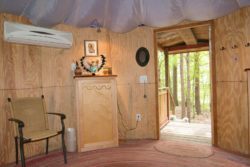 An incredible sense of human connectedness moves amongst bonfire gatherers and continues long after the last ember has spent its energy. 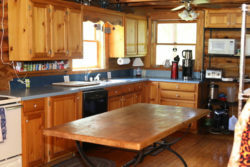 Roasting marshmallows and making s’mores is a popular pastime of participants. Drumming and dancing around the fire is another favorite activity of some of our guests. 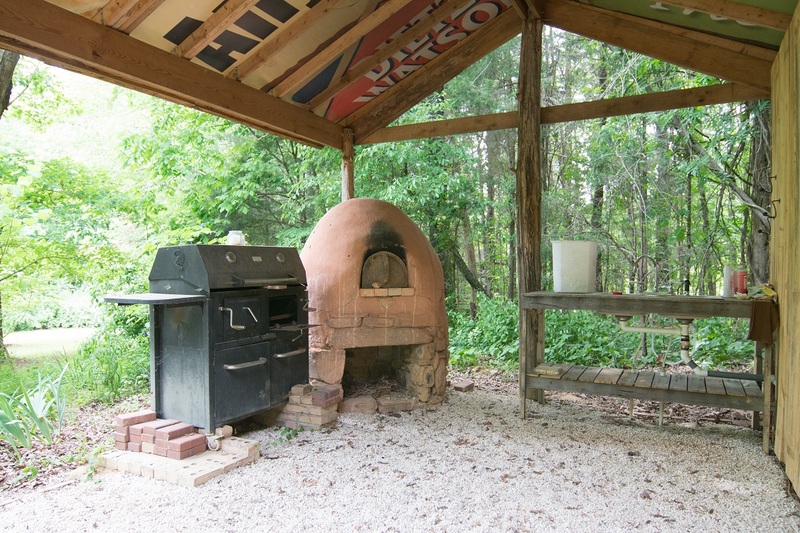 Designed for the comfort of our guests, the outdoor kitchen features a grill for outdoor cooking. The outdoor shower area comes replete with two outdoor shower stalls, two composting toilets, and two sinks.